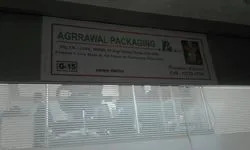 Established in the year 2002 at Mumbai, (Maharashtra, India), we “Agrrawal Packaging” are a Sole Proprietorship Firm, affianced in manufacturing a premium quality range of Packaging Films, BOPP Tapes and Packaging Bags etc. Under the direction of our mentor “Prashant Agrawal (Proprietor)” we have marked a remarkable name in the domain. With heart-earned industry-experience and knowledge, we are engaged in providing an in-depth range of products. We have an advanced and pioneering infrastructural facility that covers a huge area of land. This infrastructural unit is well-resourced with ultra-modern tools and machinery in order to accomplish the numerous preferences of honorable clients. 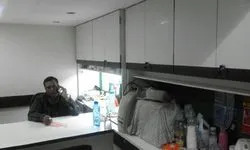 The entire work is handled by our competent team of professionals, who are appointed keeping in mind their extensive experience and knowledge in the domain.